I drive a little red race car and I like to drive it fast. You could say in my lifetime I have had a speeding ticket or two, though I have slowed down quite a bit over the years. In all my years of driving though, never once did I wonder what kind of computer was in the police car taking all my information and informing the officer that this wasn’t my first offense, or even think about what powered the cameras atop those traffic lights at the end of my road. In fact, it wasn’t until I started working in the tech industry that I realized how big an impact computers have on our daily lives and how important those itty bitty parts are that live neatly inside that box. I’m lucky these days because not only do I work in an industry I love and drive the car that I love, but I also get to see, talk about and even build (on occasion) these computers that help make our world go around. Recently, I was asked to explain the features of one of our new products, the Logic Supply AU120 Automotive System, for a product video coming soon to a theater near you (well really just our website and YouTube channel). The robust features of this rugged system make this little thing a powerhouse when it comes to automotive systems. 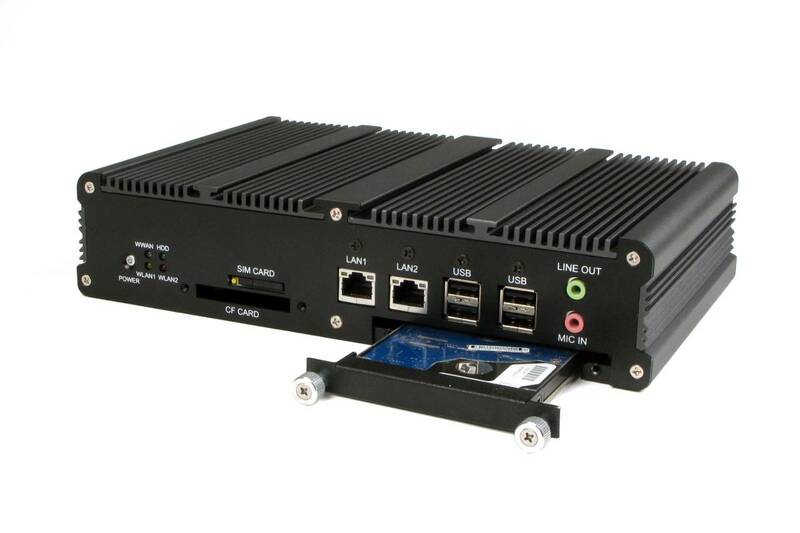 It’s compact, rugged and built on Intel’s proven dual-core 1.8 GHz D525 platform, which means it’s fast and efficient (kind of like my little race car). 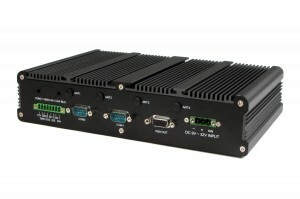 The AU120 is ideal for automotive computing, on-the-go data collection or fleet management. With its mounting brackets for secure installation and its low-profile design, it can easily be tucked out of the way in a vehicle. Because it is fanless, it has the ability to dissipate heat efficiently. And with an extruded metal heat sink there is plenty of surface area for cooling, allowing the system to operate in environments of -20~60 degrees Celsius. Under the heat sink lives the wide input power supply that powers the computer when the vehicle is turned on, offering reliable power from 9~32 volt. It is designed to work directly with a car battery without fully discharging it. The system is scalable with two full-size and one half-size PCI Express Mini Card slots providing internal expansion. Scaled down in size for the embedded market, this compact system offers substantially more processing power than many of its competitors. It’s small, rugged and capable of handling whatever your automotive application can throw at it. After getting to know all about the AU120, I can’t help think about that police car riding behind me and wonder what kind of computer is sitting in that car. I honestly hope I never have to find out.